Are you sad? Anxious? Struggling? Do you have trauma in your history? Were you exposed to childhood emotional neglect? Do you try and find ways to feel less badly in your life? Have you experienced issues related to maternal mental health? If so, Brickel and Associates can help you! We specialize in working with the effects of trauma, including dissociation and addictions, as well as maternal mental health. We look forward to helping you on your journey toward emotional health! Brickel and Associates, LLC is a private psychotherapy practice in Old Town Alexandria, Virginia. Our counselors serve individual adolescents and adults, couples, families and groups, under the direction of Robyn E. Brickel, MA, LMFT. We practice a trauma-informed, strengths-based, systems approach to therapy. Please learn more about us on our website, www.BrickelandAssociates.com as it lists all of our credentials, experience and specialties. We are dedicated to helping our patients or clients make and maintain positive changes in their lives. We bring a positive, proactive approach to therapy, helping clients achieve greater self-esteem, build healthier relationships, and make the emotional, cognitive and behavioral changes they seek. We will help you create tools to make a safe and stable environment, within therapy and to use in your daily life. You’ll find the resources and tools to establish clear boundaries, explore new ways to cope with everyday challenges and emotions, and increase your strengths and abilities. Training in many trauma-informed therapy models, including the treatment of substance abuse/alcohol and process addictions, dissociation, and other effects of trauma, including Sensorimotor Psychotherapy, Ego State Psychotherapy, and has an Advanced Trauma Treatment Certification, EMDR certification, EMDRIA Approved Consultant-in-Training (CIT), as well as many other modalities. 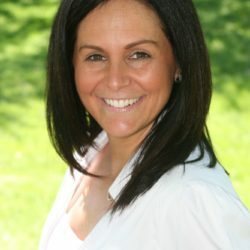 Robyn is a Licensed Marriage and Family therapist with advanced training in several other forms of couples’ therapy, such as Emotionally Focused Couple Therapy (EFT), IMAGO, Psychobiological Approach to Couple Therapy (PACT).